The Office of the Queensland Chief Scientist, in the Department of Science, Information Technology and Innovation lead a successful attempt for the GUINNESS WORLD RECORDS™ largest practical science lesson. 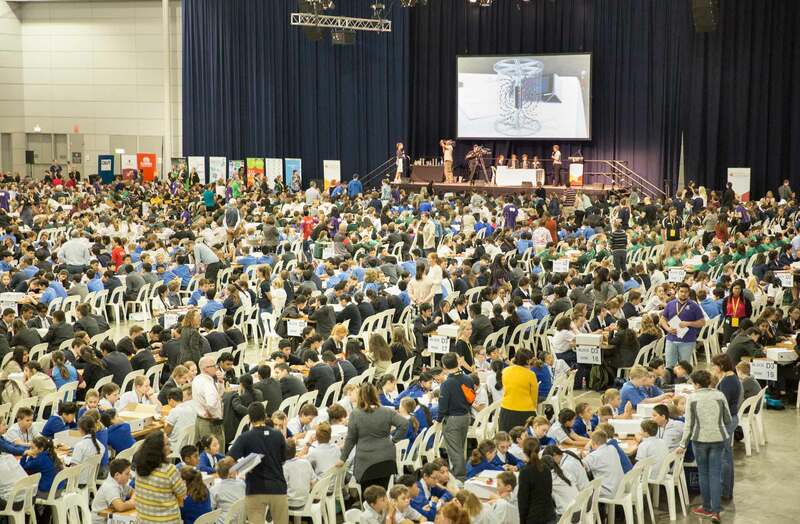 Almost 3000 Queensland students, from all over the state, from years 5-10 surpassed the current GUINNESS WORLD RECORDS title set by 2102 South African students in Durban earlier in 2016. Cre8ion produced the successful record breaking event held at the Brisbane Convention and Exhibition Centre in August 2016.